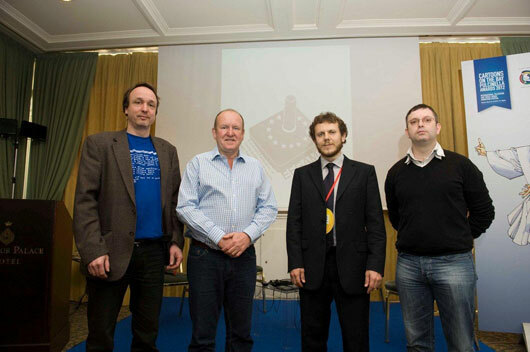 EFGAMP is the European Federation of Video Game Archives, Museums and Preservation projects. Founded on 26th March 2012 with no-profit purposes, the Federation sets out to find new opportunities linked to digital preservation, particularly regarding video games. Through an international network of partners, EFGAMP’s mission is to encourage the creation of archives and to increase accessibility to our digital heritage. The preservation of digital data and multimedia interactive works is a very current issue, on which the world of computing is starting from the mid Nineties to question, encouraging initiatives and projects that EFGAMP aims to bring together under the same flag. Among the objectives that the Federation has set to achieve, is to increase the accessibility of the digital heritage, this means therefore encourage all proposals designed to recover the games of the past, through systems such asemulation or by creating appropriate archives, and avoid getting them lost due to physical deterioration of the original media. For this to happen, however, awareness on the subject must be raised, among technicians, scholars and collectors. This is the exact reason EFGAMP was born.